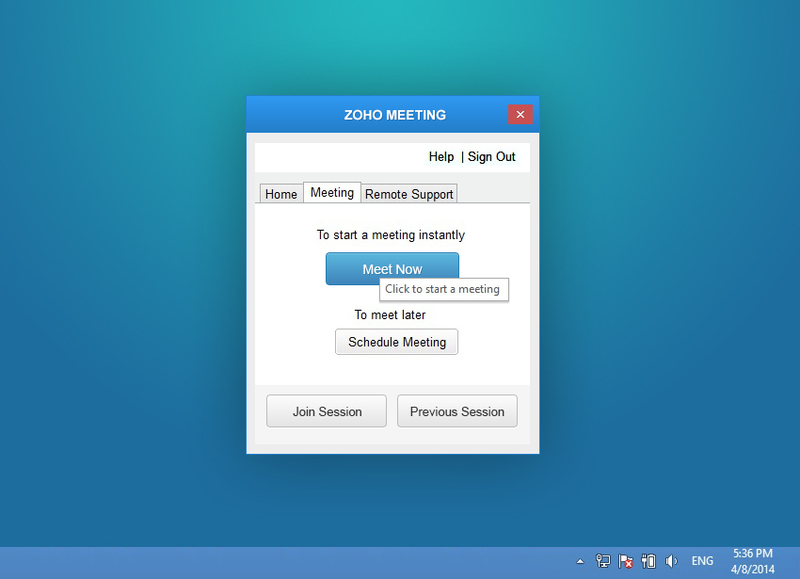 Anywhere you may be, just click, start online meeting instantly and start sharing your desktop within few seconds. Collaborate instantly without scheduling and inviting your Participants. Just start sharing desktop and let your Participants join your meeting and view your screen instantly without waiting for you to start meeting. Invite your Participants from meeting toolbar and share your desktop. Instant sharing helps to share your ideas instantly around the world sitting at your location. In a case of meeting your client in no time, just start instant meeting and connect quickly to your client. Start Online meeting with just a single click. Share desktop instantly without scheduling. Your Participats view your screen instantly without waiting for you start the meeting. Want to get a hands-on experience? Start an instant meeting now! Host unlimited meetings & webinars now.